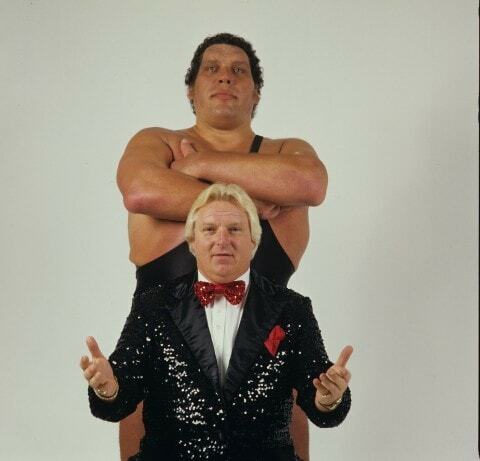 The Pro-Wres Digest for July 23-30 – Brock, WWE Earnings, Japan Results Galore, Mexico, PWG & Much More News. Cageside Seats noted in their “Rumours of the Day” piece for 25/7 that Alberto Del Rio could be winding down with the WWE once again. The speculation is that there is “mutual dissatisfaction” about how Del Rio’s second run in the company has gone and some people backstage believe he could be gone in October when his contract will allow it. Del Rio and his girlfriend Paige were drafted to different brands last week and Del Rio didn’t hide his displeasure during a post-draft interview on the Network. Cubsfan wrote on 25/7 that Del Rio is under a multi-year deal but has the option to opt out after one. If Del Rio does leave WWE again, as Cubs noted over at thecubsfan.com/cmll/, he might have a hard time finding a place to work that will pay him enough money. His split with AAA and Lucha Underground was far from amiable and CMLL were unwilling to pay Del Rio the kind of money he wanted. 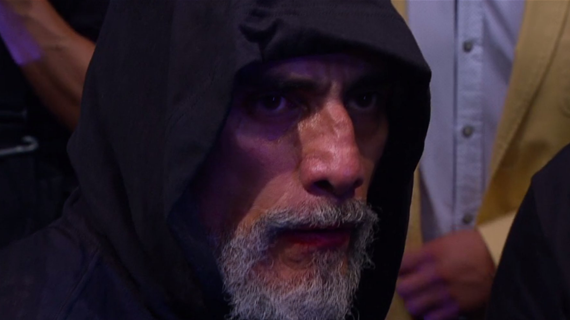 There is also the Caristico factor with CMLL, as the former Mistico/Sin Cara/Myzteziz and Del Rio have had heat for years and Alberto has spoken publicly about Cartistico pulling a gun on him. Elite like throwing money around and would probably make Del Rio an offer, however it would be nowhere near what he would make if he stayed with WWE. The WWE financials for the second quarter of 2016 were released on 28/7 with the usual investors conference call with Vince McMahon and George Barrios. Here are some of the key numbers worth noting. The Network had 1,560,000 total subscribers, which is the second highest quarterly subscriber base behind last year’s day after WrestleMania number of 1,824,000. The average Network subscriber number for the second quarter was 1,517,400 and the closing paid subscriber for Q2 was 1,129,000 domestic, with 380,700 paid international subs. WWE’s total revenue for the second quarter was a record $199.0 million, which includes the $21.5 million in live revenue generated by WrestleMania 32. Chris Harrington calculated the real paid attendance for WrestleMania 32 was “in the range of 74,000 to 86,000,” which is nowhere near the 101,763 WWE claimed they drew for the show. 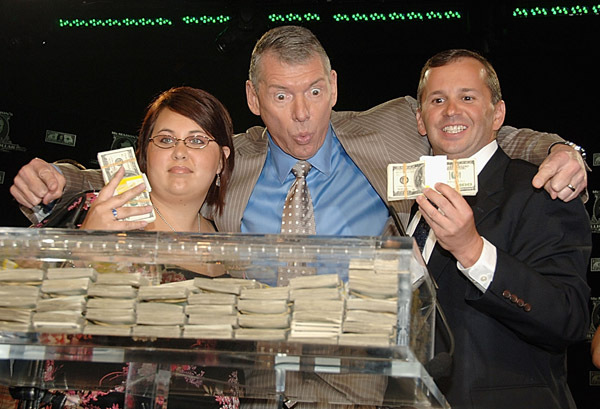 There were also the customary wacky answers from Vince McMahon to some of the questions asked by investors and analysts. 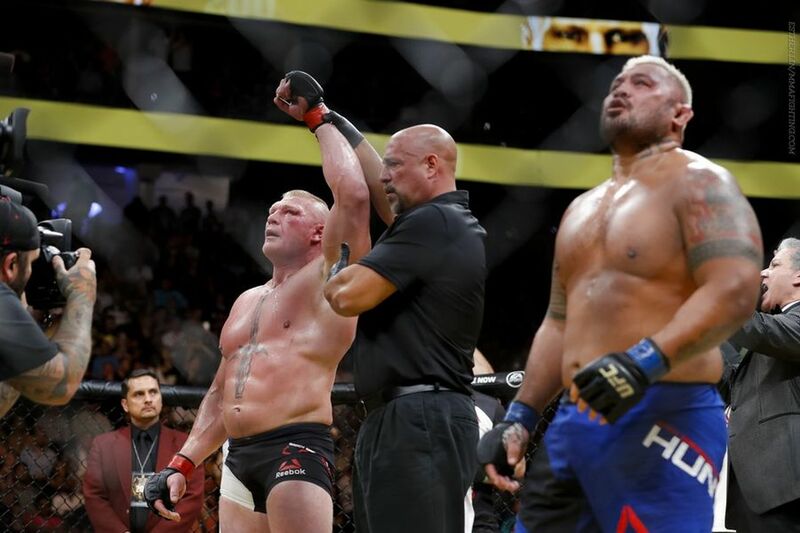 On why they went ahead with the brand split despite it being more costly, Vince said they had a “plethora of talent due to Paul Levesque’s influence on the training centre.” Barrios fielded a question regarding the UFC sale and he said it reflected the value of “branded live content.” As far as WWE entertaining the thought of selling, we were treated to some typically corporate double-speak that didn’t really answer the question: “We’re always willing to listen. All we care about is doing what’s best for our audience, our shareholders and our employees. If someone has a great idea, we’re open to listening to it.” For a full breakdown and expert analysis on the WWE financials, check out Chris Harrington great work over at wrestlinginc.com. 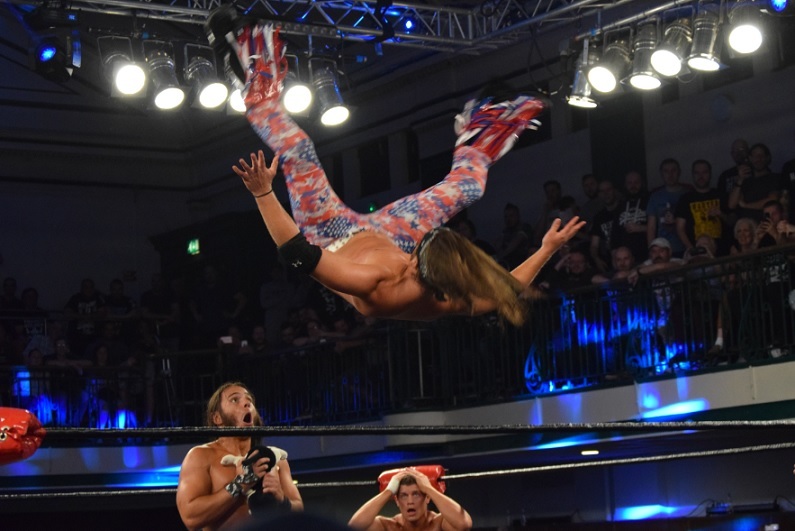 There were a few WWE developmental releases this week, as ZZ Loupe, Josh Woods & Tom Kingdon were all sent packing from the Performance Centre. Loupe was signed after finishing as the runner up to Josh Bredi on last year’s Tough Enough, however he only worked one match earlier this year against Oney Lorcan (Biff Busick) on March 26th in Orlando, FL. Woods is a former national amateur champion and did some amateur MMA before being signed. Kingdon was a competitive bodybuilder and is cheesed to the edge of the platter. Both appeared somewhat regularly on the NXT loops in Florida, but neither made it onto the main touring NXT crew or the TV show. Shelton Benjamin will be returning to the WWE after six years and will be a part of the SmackDown Live roster. The 41 year-old had been working in Japan for years as part of Minoru Suzuki’s heel stable, Suzuki-Gun, and even made the jump to NOAH when Jado & Gedo sent SZKG over to try and give the struggling company a shot in the arm. Benjamin worked his last tour of NOAH earlier this month and was advertised on this week’s episode of SmackDown in somewhat of a surprise announcement. Shelton isn’t the only name from the past expected to return to help bolster the weak SmackDown roster, as Rhyno has been signed to a deal and he is expected on TV imminently. Also rumoured for returns are Curt Hawkins and MVP, however MVP took to Twitter to deny he was heading back to the WWE. The finals of NOAH’s Jr Heavyweight Tag League took place on 30/7 at Korakuen Hall and the big news from the show was the GHC Heavyweight Championship once again changing hands, as Takashi Sugiura took the strap back from the man who beat him two months ago, Go Shiozaki. (*) Sugiura downed Shiozaki in a Lumberjack Match with the Olympic Slam in 26:54; there was of course the ubiquitous Suzuki Gun interference throughout. After unmasking only a couple of months ago and declaring himself one of the saviours of NOAH, Maybach Taniguchi came out afterwards in his mask and attacked SZKG then put Sugiura through a table with the Maybach Press to set himself up as the next challenger for the title. (*) Semi-main event was the final of the Jr Tag League and Taiji Ishimori & ACH beat Atsushi Kotoge & Daisuke Harada in 20:25 when Ishimori pinned Harada with the 450 Splash. (*) Team NOAH of Maybach Taniguchi, Masa Kitamiya, Muhammad Yone & Quite Storm downed Team SZKG of Minoru Suzuki, Takashi Iizuka, Taichi & Taka Michinoku in 14:49 when Taniguchi pinned Taka with the Maybach Press. (*) Semi-finals of the Jr Tag League saw Ishimori & ACH over Kenoh & Hajime Ohara in 8:24 and Kotoge & Harada over Yoshinobu Kanemaru & El Desperado in 6:12. (*) There was another Tag League match on the show, with Hitoshi Kumano & Andy Dalton getting their first win of the tournament over Genba Hirayanagi & Captain NOAH in 4:04. (*) Opener saw Akitoshi Saito & Yoshinari Ogawa defeat Shiro Tomoyose & Kaito Kiyomiya in 6:17. Outside of the G1, there were tons of big shows held this past week, with three events taking place on July 24th alone, as Dragon Gate, Big Japan & Zero-1 all ran that night. Dragon Gate reportedly drew a huge crowd of 9,800 fans to Kobe World Kinen Hall in Hyogo for their big “Pro Wrestling in Kobe” show on 24/7 and there were three big title changes on the card. 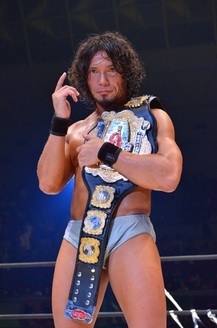 (*) Main event saw Yamato defeat Shingo Takagi to capture the Open the Dream Gate title for the fourth time in 33:47 in what was apparently a tremendous match. (*) In the semi-main event, Akira Tozawa, Masato Yoshino & T-Hawk retained the Triangle Gate titles over Cima, Dragon Kid & Peter Kaasa and BxB Hulk, Kzy & Flamita in 15:21. (*) Jimmy Susumu & Jimmy Kagetora reatined the Twin Gate straps over Naruki Doi & Brother Yasshi in 24:20. (*) Eita downed Yosuke♡Santa Maria t to become the new Brave Gate champion in 11:41. 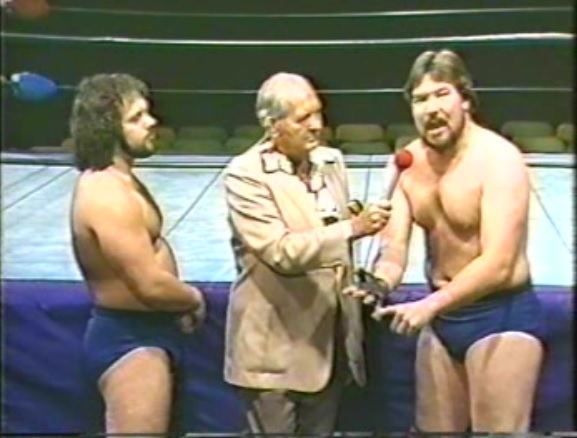 (*) Masaaki Mochizuki & Yoshiaki Fujiwara won an awesome mean old man match over Don Fuji & Masakatsu Funaki when Fujiwara submitted Fuji with the Armbar at 12:49. Backstage, Mochizuki & Funaki agreed to a singles match at some point n the future(!) (*) El Lindaman over Jimmy Kanda in 4:23. (*) Shachihoko Boy & U-T beat Stalker Ichikawa & Big R Shimizu in 7:47. (*) Opener saw Naoki Tanizaki, Mondai Ryu & Cyber Kong over Gamma, Takehiro Yamamura & Kaito Ishida in 6:41. Big Japan also ran a big show this week and drew 3,293 fans at Sumo Hall , not a great number considering the size of the building, on 24/7 for “Ryogokutan,” and the top two matches saw the company’s two major championships change hands. 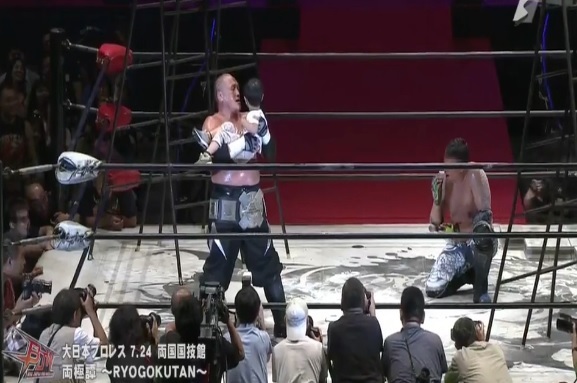 (*) Main event saw Kankuro Hoshino capture the BJW Deathmatch Heavyweight title from Ryuji Ito in a Scaffold G Shock Match when Hoshino hit a diving senton off the scaffold at 20:31. Hoshino dedicated the win to his three year-old son who was in attendance for giving him the passion to become a champion. (*) Semi-main event had Yuji Okabayashi dropping the BJW World Strong Heavyweight title to Hideyoshi Kamitani in 26:53; the 24 year-old Kamitani got the win with a High Angle Backdrop. (*) Third from the top was Kohei Sato & Shuji Ishikawa retaining the BJW Tag Team belts over what may be the fattest team ever, Akebono & Ryota Hama in 12:37. (*) The All Japan Asia Tag Team titles also changed hands on the show, as Hikaru Sato & Atsushi Aoki took back the straps from the outsiders of Isami Kodaka & Yuko Miyamoto in 18:24. Elsewhere on the card, (*) Ryuichi Kawakami returned from injury and downed Daisuke Sekimoto in 11:18 with a deadlift German Suplex. (*) Abdullah Kobayashi, Takayuki Ueki & Masaya Takahashi beat Jaki Numazawa, Masashi Takeda & Takumi Tsukamoto for the 6 Man titles in a Deathmatch Iron Maiden ~ Run to Hell ~ Match in 11:38 when Kobayashi landed a diving elbow off the Iron Cage on Numazawa. (*) Hideki Suzuki & Takuya Nomura beat Yasufumi Nakanoue & Yoshihisa Uto in 9:30. (*) Great Sasuke, Shu & Kei Brahman beat Great Kojika, Shinobu & Toshiyuki Sakuda in 9:29 when Sasuke hit the Messiah Korin on Sakuda. (*) Tsutomu Osugi & Hercules Senga over Tsubasa & Billyken Kid in 8:20. (*) Opener saw Daichi Hashimoto & Atsushi Maruyama defeated Tatsuhiko Yoshino & Kazumi Kikuta in 9:43 when Daichi submitted Yoshino with a Triangle. 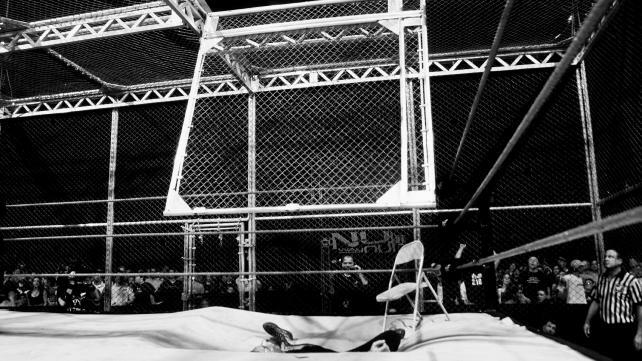 Zero-1 ran the second Edion Arena in Osaka on 24/7 and the main event saw Masakatsu Funaki defeat Atsuhi Onita in a 3Way Bat Barbed-Wire Board Electric Current Blast Death Match in 18:59 to capture the Bakuha-0 (Blast King) championship. Afterwards, it was announced that Onita fractured his arm and would be out of action for a few months. This was Funaki’s second match of the day, after working the Dragon Gate show earlier in Tokyo. The rest of the show was mostly matches from the ongoing Fire Festival League. Masato Tanaka beat Yusaku Obata via referee stoppage at 18:46. Fujita “Jr” Hayato downed Kamikaze in 11:49. Shinjiro Otani beat Buffa with a Release Dragon Suplex in 10:59. The Fire Festival League wraps up on 31/7 at Korakuen Hall in Tokyo. The All Japan “Summer Action Series” show on 23/7 in Fukuoka did 605 fans to see Kento Miyahara retain the Triple Crown Championship over Jun Akiyama in 22:13 with a German Suplex. I’ve not seen the match yet, but on paper it would appear like the idea was to do some kind of passing of the torch deal and put Miyahara over strong as the leader of the new All Japan era. Ryoji Sai came out and challenged Miyahara for the championship and Miyahara said he also wanted to regain the World Tag titles from Yuji Okabayashi & Daisuke Sekimoto. Speaking of the World Tag belts, Okabayashi & Sekimoto retained the straps over Zeus & The Bodyguard in 19:15 when Sekimoto pinned Zeus. Also on the show, (*) Jake Lee beat Takao Omori in 8:32 with a Backdrop Suplex. (*) Ryoji Sai, Atsushi Maruyama & Masashi Takeda over Suwama, Super Tiger & Naoya Nomura in 13:19. (*) Atsushi Aoki & Hikaru Sato beat Ultimo Dragon & Yohei Nakajima in 10:27. (*) Yutaka Yoshie over Yuma Aoyagi in 9:04. (*) Opener saw Koji Iwamoto down Sushi in 8:36 with a German Suplex. Mr Gannosuke Produce ran a show at Shinkiba 1st Ring in Tokyo on 26/7 and the main event saw Gannosuke wrestle Harashima from DDT, who worked under the name “Hayabucha” and wore the mask and ring gear of the late Hayabusa. Gannosuke won the match in 16:01 with the Firebird (450) Splash. For full results, check out puroresuspirit.net. Io Shirai dropped the SWA Undisputed World Women’s title to Toni Storm in the main event of the Stardom show on 24/7 in Osaka in a match that went 17:51. Shirai will be out of action for a while as she will be undergoing surgery for a tailbone injury. Also on the 24/7 show, Mayu Iwatani retained the NEO High Speed title over Shanna in 12:46. Kairi Hojo also retained her Wonder of Stardom title over Scottish independent worker Viper via count-out in 16:57. PWG announced the 24 participants in their annual summer tournament the Battle of Los Angeles tournament earlier this month, however there was a change made to the field as Adam Cole Tweeted that he had zero interest in being in this year’s BOLA. Cole noted the only think he would be doing that weekend is teaming with his fellow Mount Rushmore 2.0 teammates the Young Bucks. Cole & the Bucks will face Dalton Castle & The Boys on night one and night two sees them take on Will Ospreay, Ricochet & Matt Sydal. Cedric Alexander was announced as Cole replacement in the tournament, so know we do in fact have the final 24 entrants and full cards for the first two nights. (1) Cody Rhodes, (2) Kamaitachi, (3) Jeff Cobb, (4) Mark Haskins, (5) Dalton Castle, (6) Pete Dunne, (7) Sami Callihan, (8) Tommy End, (9) Trevor Lee, (10) Cedric Alexander, (11) John Hennigan, (12) Jack Gallagher, (13) Chris Hero, (14) Mark Andrews, (15) Ricochet, (16) Matt Riddle, (17) Marty Scurll, (18) Matt Sydal, (19) Kyle O’Reilly, (20) Fénix, (21) Zack Sabre Jr., (22) Will Ospreay, (23) Pentagón Jr., (24) Jushin “Thunder” Liger. * 2016 Battle of Los Angeles First Round: Chris Hero vs. Jushin “Thunder” Liger. * 2016 Battle of Los Angeles First Round: Tommy End vs. Zack Sabre Jr.
* 2016 Battle of Los Angeles First Round: Fénix vs. Will Ospreay. * 2016 Battle of Los Angeles First Round: Jeff Cobb vs. Ricochet. * 2016 Battle of Los Angeles First Round: John Hennigan vs. Matt Sydal. * 2016 Battle of Los Angeles First Round: Pentagón Jr. vs. Marty Scurll. * Dalton Castle & The Boys vs. Adam Cole & The Young Bucks. * 2016 Battle of Los Angeles First Round: Kyle O’Reilly vs. Matthew Riddle. * 2016 Battle of Los Angeles First Round: Sami Callihan vs. Cody Rhodes. * 2016 Battle of Los Angeles First Round: Cedric Alexander vs. Mark Haskins. * 2016 Battle of Los Angeles First Round: Kamaitachi vs. Trevor Lee. * 2016 Battle of Los Angeles First Round: Mark Andrews vs. Pete Dunne. * 2016 Battle of Los Angeles First Round: Dalton Castle vs. Jack Gallagher. * Fénix & Pentagón Jr. vs. Tommy End & Chris Hero. * Will Ospreay, Matt Sydal, & Ricochet vs. Adam Cole & The Young Bucks. The final night is on September 4th and the card will be determined by the outcome of the tournament matches on the first two shows. * Mask vs. Hair: Psycho Clown vs. Pagano. * AAA Mega Heavyweight Championship: Texano Jr (C) vs. Dr Wagner Jr vs. Cage. * Rey Mysterio Jr, Dragon Azteca Jr & Prince Puma vs. Matanza Cueto, Mil Muertes & Marty Martinez. * AAA Latin American Championship: Pentagon Jr (C) vs. Johnny Mundo. * AAA Tag Team Championship: Jack Evans & Angelico () vs. Paul London & Matt Cross vs. Aerostar & Drago vs. Fenix & Hijo del Fantasma. * Faby & Mary Apache vs. Averno & Chessman. * TripleMania Cup: La Parka is the only name announced so far, but there are ten more entrants tba. The referee of the main event will be determined on 19/8, when Psycho Clown, Monster Clown & Murder Clown take on Pagano, Damian 666 & Nicho el Millionario and the winning team gets to choose the ref. TripleMania XXIV is set to take place on 28/8 at Arena Ciudad de Mexico and the show is believed to be available internationally via iPPV. After only wrapping up season two last week, Lucha Underground will be back with their third season starting on September 7th. All the matches have already been taped and there are expected to be 40 episodes of season three. There’s been nothing announced as far as season four goes, however Cubsfan noted that there has been talk of resuming filming in November. RAW on 25/7, the day after BattleGround and first post-draft show, did a 2.36 rating with 3,334,000 viewers. That’s up from the 2.21 and 3,125,000 they did last week. 8pm did 3,350,000 viewers. 9pm did 3,412,000 and 10pm did 3,254,000. The first SmackDown Live of the #NewEra on 26/7 did a 1.92 rating with 2,743,000 viewers; way down from last week’s Draft show that did a 2.20 rating with 3,170,000 viewers. TNA iMPACT on 28/7 did 350,000 viewers, down slightly from the 362,000 they did last week.